We are raising the bar in advertisement signage! Here at Williams Sign Company we offer a variety of signage from corrugated plastic, aluminum and MDO to silkscreen,vinyl and digital graphics. 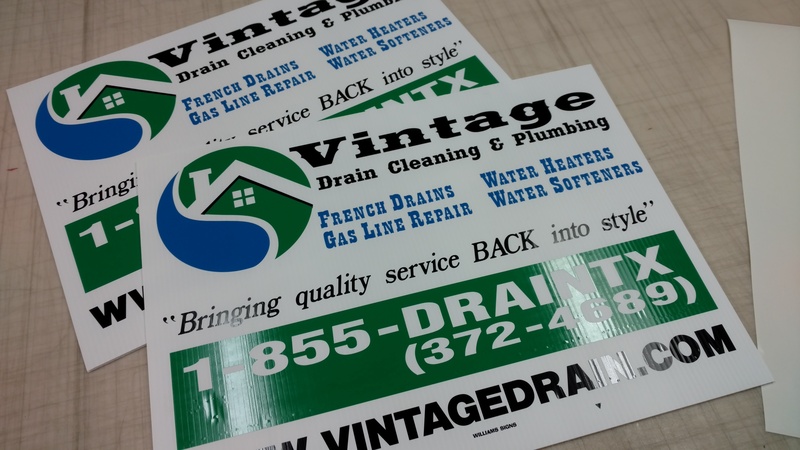 Signs, magnets, banners and more certainly allows us to meet your advertisement requirements. Using only quality materials and UV rated inks and vinyl your graphics will remain crisp and vibrant for years to come whether used for storefront graphics,yard signage or auto decals. Appealing,reusable and cost effective,our durable signs are a long lasting investment for your essential advertising needs! Have advertising needs that expand beyond signage? Do you want to show support for your hometown all-stars or need spirit and performance wear for your team? We are now introducing apparel products to our lineup of items available this means your corporate,team or fleet needs can be met across the board. From sports performance caps to visors,we have headwear options everyones needs can be met with satisfaction. Shirts,hoodies,pants and more make us your all-in-one shop for high quality fabrics and design integrated to stand out in a crowd.